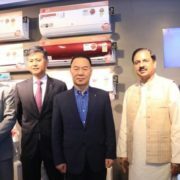 Sanyo which is an online brand of Panasonic recently steps in Air Conditioner market with a launch of Inverter Air Conditioners range in India. In the public press release, the Sanyo has revealed they have designed the ACs with energy efficiency and lifestyle requirements keeping in mind. Their Inverter AC range currently covers 5 models fall in 3 and 5-star rating categories and comes in 1, 1.5 and 2 tons. 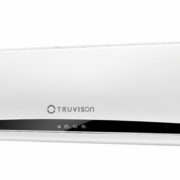 Being an online brand all of their Air conditioners are available on Amazon.in and select retailers at a special introductory price starting INR 24,490. The technology used by the Sanyo is Dual Cool inverter and with instant cooling. 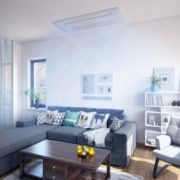 Furthermore, it also acts as an Air purifier system which has the ability to eliminate PM 2.5 airborne particles, including particles smaller than 2.5 micrometres in size to improve the indoor air quality, claimed by Sanyo. Sanyo also stated that their AC products are Environmental friendly as it ensures to consume less electricity while the usage of 100% Copper Condenser provides 2X faster heat exchange plus resist corrosion problem too. 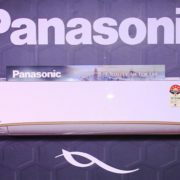 Few AC features described by Sanyo present in this new range of ACs are Glacier mode to deliver 35% higher fan speed for instant cooling; Auto restart function to saves the original settings, self-diagnosis mechanism to find and display any error on display area unit; Remote control design and its few features such as glow in the dark, temperature control and power on and off buttons for easy operation.